How to solve the large wear and chipping, crushing of the chisel edge? - Purros Machinery Co.,Ltd. How to solve the large wear and chipping, crushing of the chisel edge? Solution: Decrease feed rate, because too large feeding that will increase the cutting resistance. Solution: Select correct point dimensions, for example: the point angle is small, but the rigidity of cutting material is big. Solution: Choose a suitable tool material that means choosing a bigger rigidity of material for making cutter. Solution: Increase relief angle, because too small relief angle will Increase the wear and tear of flank face. 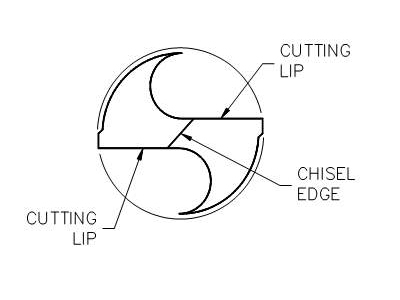 Posted in Technology and tagged chisel edge, chisel edge chipping, chisel edge crushing, large wear of chisel edge, relief angle, solve large wear of chisel edge.